Lately, I’ve been hooked on cables! 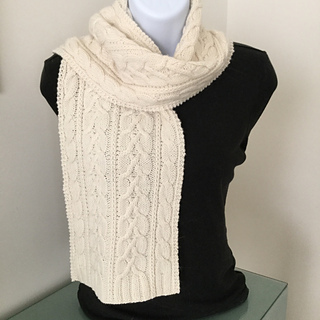 The Canterbury Crossing Cables Scarf takes basic cables and criss-crosses them for a stately, textured look. 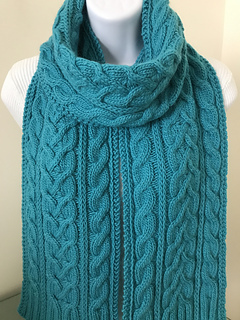 Framed by basic left and right cables, along with double slipped stitch separating lines, this scarf knits up nicely for either male or female. 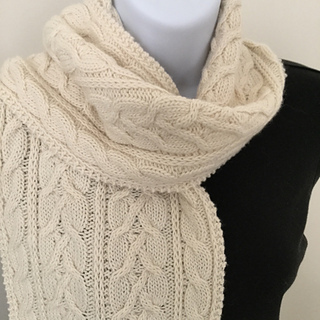 Several repeats can be added to make a wonderfully warm and textured feminine wrap. 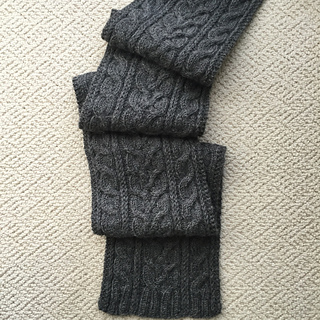 The knitting skill level is advanced beginner and above. 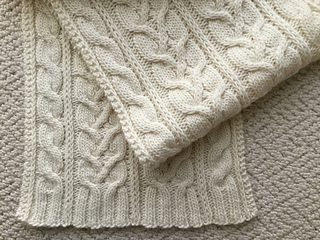 Knowledge of cables and slipped stitches is necessary. The pattern is both written and charted (using color coding for the various cables) for easy interpretation. 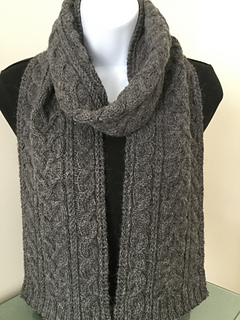 Choose a nice Aran tweed or worsted weight yarn for this scarf; or a DK or Sport weight for a wider version. 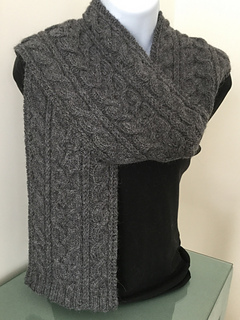 Use a nice worsted Alpaca with several pattern repeats for a soft stole or wrap. 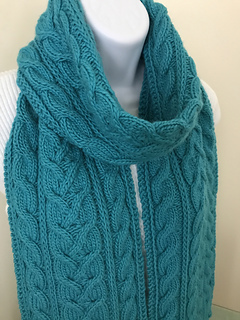 Since this scarf is unisex, it’s great for gift-giving! If there are any comments or questions, please e-mail me at: dmdesignworks@outlook.com.